Craft your way through more than 40 eco-friendly festive projects, including charming gifts, stunning decorations, and quirky gift wrap ideas, and bring the magic of the German Christmas markets into your home. No more braving the crowds for tatty tinsel - spend time with friends and family and turn cold nights cosy with homemade bath salts, floating tea lights, and gingerbread hearts. Follow clear, step-by-step instructions to create fresh flower garlands, bake edible gift tags, and paint authentic tree ornaments. 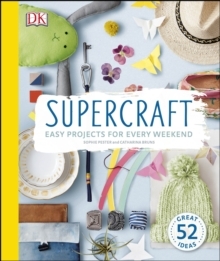 Featuring a chapter devoted to last-minute ideas, your treats and trinkets can be as speedy as they are special. 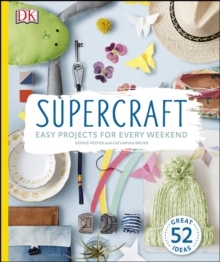 Full size templates and stunning photography combine to make your homemade projects simple. 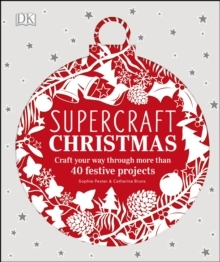 Brimming with inspiration so you can create your own magical, homemade holiday - you'll soon have the festive season all wrapped up with Supercraft Christmas.